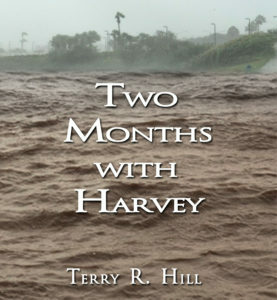 Terry R. Hill | A home for Science, Exploration and Discussions without agendas. What does a man do when his wife-to-be says she’s carrying the child of God? 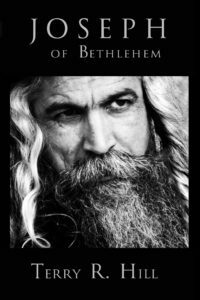 Joseph of Bethlehem finds himself in circumstances that would test anyone’s faith, when suddenly responsible for a young girl named Mary, and in the path of an unrelenting waterfall of events for which no one was prepared. How close is the Nativity story of today to what was told a few generations after Jesus’ birth? Is Joseph the man you thought him to be? How will Joseph overcome all that threatens the birth of Mary’s child, and would history have played out differently if another man had been chosen? There is always another side to every story. Experienced from the perspective of Joseph leading up to the days of Jesus’ birth, it is the untold story of a man who learns to love again and a renewal of faith in his God. 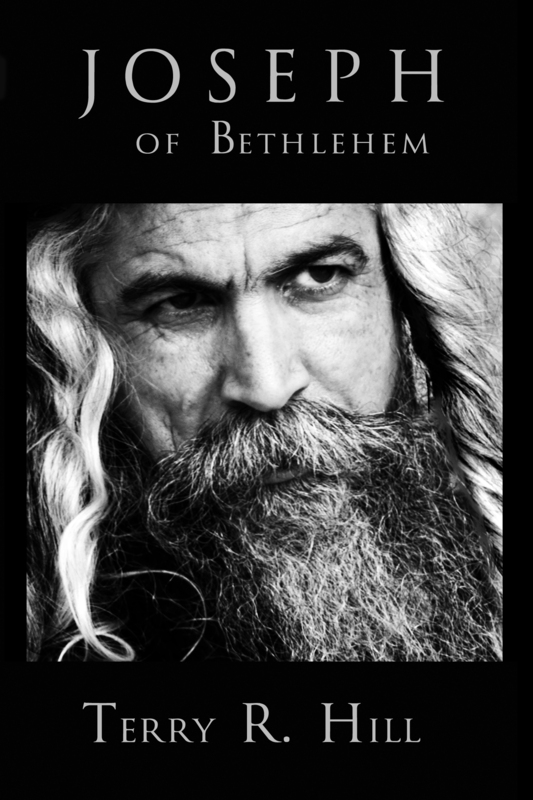 Joseph of Bethlehem brings this unique man out from the shadows of history and presents a relatable tale of man who faced difficult tests of character and faith. 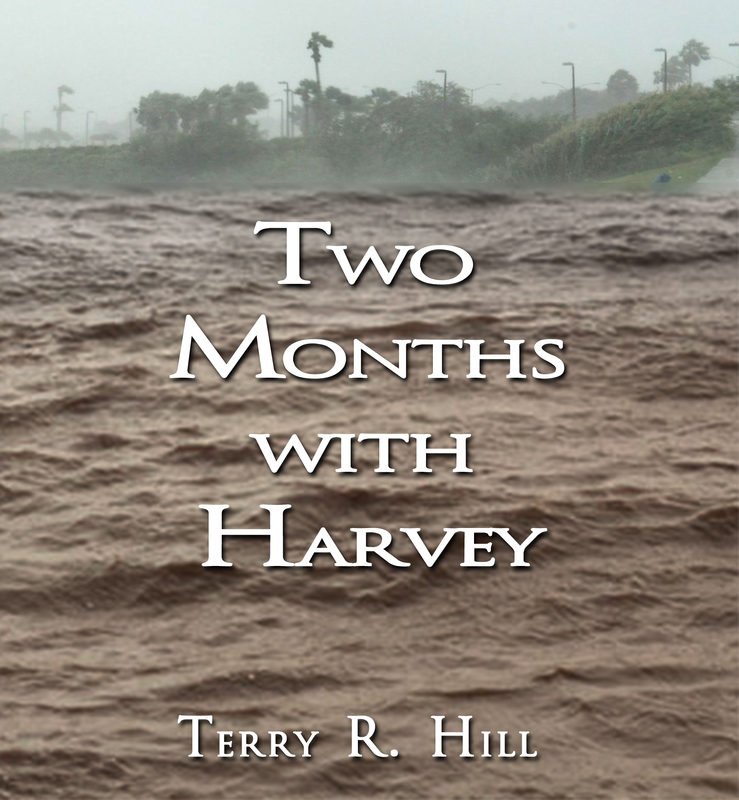 All profits from the sale of this book will go to those affected by Harvey and future storms. Non-signed Paper back: Coming soon! We knew it would be bad, but there are levels of bad. There was no scale that could have measured this one. Residents listened as 130 mile per hour winds tore away their roofs and struggled to stay alive as water crept into their homes, threatening to drown people in their own living rooms. When the winds died, and the rain finally stopped, the streets were only navigable by boat. The death toll rose to over seventy and more than 1,000,000 cars flooded with an estimate of $100 billion in destruction. How does a community, a city, a state survive when hit by a monster storm and then have every square inch covered by over four feet of water? A storm which can only be described as a 1,000 year flooding event, worse than Hurricane Katrina, and broke all historical records. Live though one man’s experience as the world grew more and more uncertain. Experience through the medium of social media, the day by day visceral experience of watching people’s lives permanently altered, and the heart-filling moments when strangers, neighbors, and friends stepped up and helped those in trouble. Watch as needs are met, lives preserved, and hope restored in the two months following Harvey. In the fight for survival, there is no right and wrong, only life or death. Twenty Earth-years have passed since the first child was born on Mars—humanity’s survival outpost after evacuating amidst the destruction of the planet they called home. Life has settled into idyllic predictability…until an alien artificial intelligence merges with Col. Zune Adamini, revealing a glimpse of the darkness to come. Zune struggles with the colony’s leadership to take action, forcing him to cross the thin line between morality and necessity. With no option but to send their children into harm’s way, everything humanity has on the line is threatened in a battle against a seemingly unstoppable enemy whose only goal is to annihilate the threat of humans. In the final moments, when humanity’s flame is at the brink of being extinguished, all will hang on Tar’Day realizing her destiny. But will it be enough? 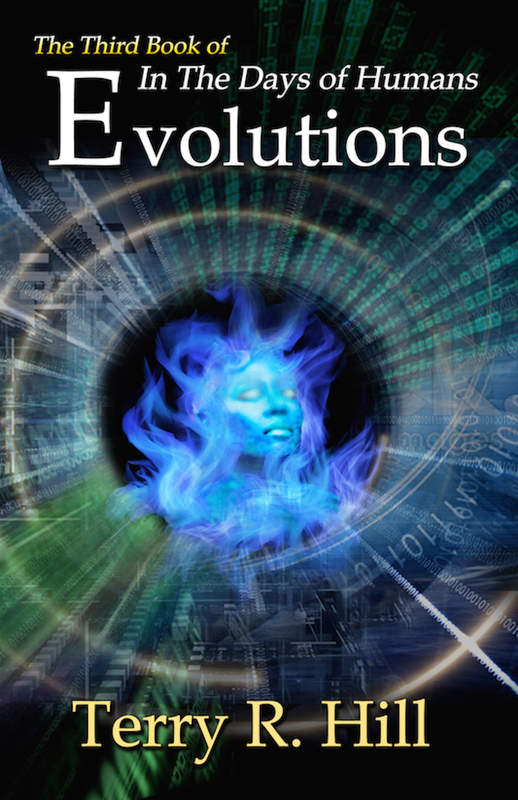 Evolutions is the final volume by Terry R. Hill in the action-paced science fiction series “In the Days of Humans”. The series is packed with action keeping the reader on the edge of their seat, while woven together with philosophical elements that will deeply satisfy those who enjoy the works of Heinlein and Vinge. 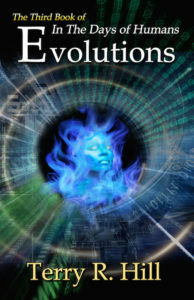 For those who love science fiction wrapped around the human element, Evolutions, is a must read! At times we must embrace chaos to find sanity, and sometimes we must destroy in order to save. 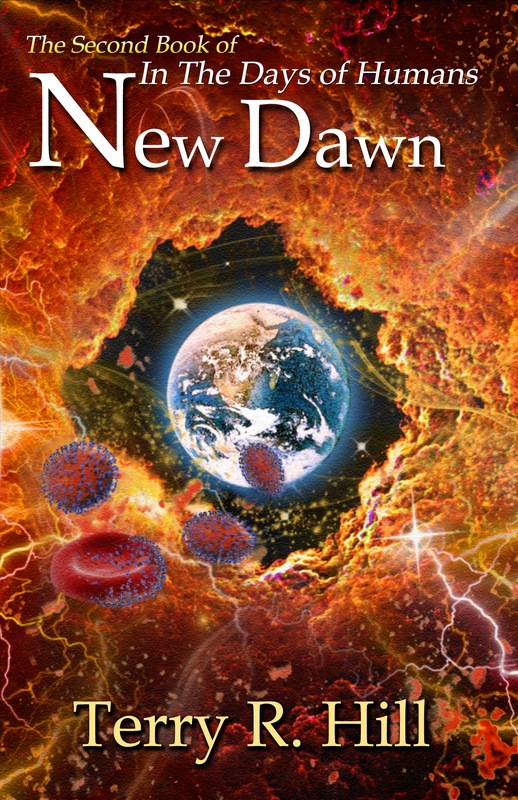 The beginning of a new generation is underway and life has settled into a deceptive normality for the inhabitants of Mars’ first city, Alkebulan. Commander of the starship Yamakarā, Col. Zune Adamini, however, senses that the protection offered by the ancient intelligence they found on Mars is finite. It is almost certain that their guardian will one day leave to find its own place in the universe, having finally fulfilled its directive. Following his instinct, Col. Adamini plans to send two teams on separate missions while they can still utilize their remaining time with the AI’s presence. With limited time, one team must venture into the darkness to update the ancient alien star maps or risk the dangers of having to someday do it alone. 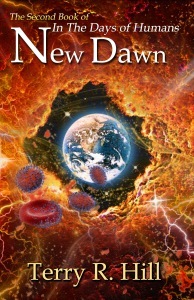 A second is sent to Earth to finish building the sister ship to the Yamakarā before nature destroys what is left of it. The Yamakarā has ferried humanity to its new home, but the years and the distances traveled are beginning to show. In the not-too-distant future, humans successfully created true artificial intelligence (AI). In the ensuing struggle between Man and Machine to gain control of their respective destinies, the Earth was devastated. But humankind…‘won’. Only a small portion of the planet was not thrown back into the stone-age. Delivered by the forces that brought the AI into existence, the African continent was shielded at the time of the Great War. This island of humankind became the last foothold of civilization and the last hope for our future. One hundred years later with the now rapidly vanishing resources on Earth, the scientists and the government of the United African Nations embarked on a bold new plan for a select few to leave their ancestral home to find the resources and possibly a new future. Col. Adamini, commander of the Yamakarā, its crew, and a small team delivered to Mars, is tasked to explore the solar system and to make a new home for humankind. Unknown to them, they will be Earth’s last hope when unforeseen forces threaten the total annihilation of the human species once again. 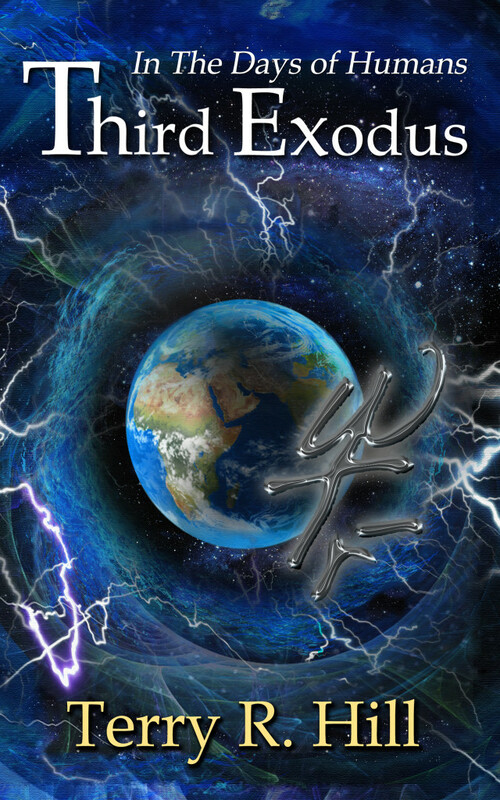 Through a surprising twist of fate, they find an unlikely ally that will be required for their survival, testing everything Col. Adamini has known to be true and just; placing humankind on a new and unsuspected path into the future.